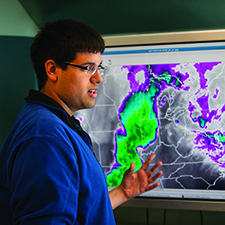 EAPS faculty and students use observations and numerical modeling to better understand the physics, predictability and impacts of extreme weather systems, including thunderstorms, tornadoes, and tropical cyclones, and their variability within the climate system. 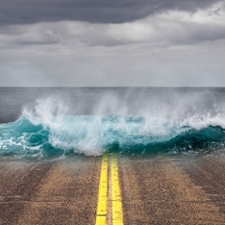 The fundamental physics and processes of the regional and large-scale climate system and its variability (such as monsoons, El Nino, the jet stream), and intraseasonal variability are topics of research by our faculty and students. Select EAPS faculty and students study the exchange of energy and matter between the atmosphere and the Earth’s surface, including sea, land, and vegetation. EAPS Assistant Professor Dr. Daniel Chavas has been named the recipient of the College of Science’s Faculty Award for Outstanding Contributions to Undergraduate Teaching by an Assistant Professor. The award, which was created in 1996, aims to recognize an assistant professor who has combined outstanding teaching with research excellence. Dr. Tanamachi has been featured in a book about severe storms targeting grades five through seven. 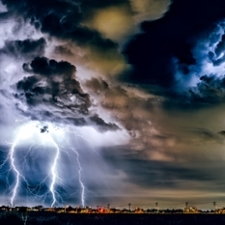 Thunderstorms embedded within Indian monsoon systems can deluge areas with dozens of inches of rain in little time, causing severe flooding and the loss of hundreds of lives each year. Better predictions of when, where and how much rain will fall is key to saving property and lives. Dr. Agee of EAPS credits the decline in fatalities to better scientific understanding of tornadoes and technology to warn people of developing storm events. A team of atmospheric scientists in EAPS is making images from its new radar available to the public.